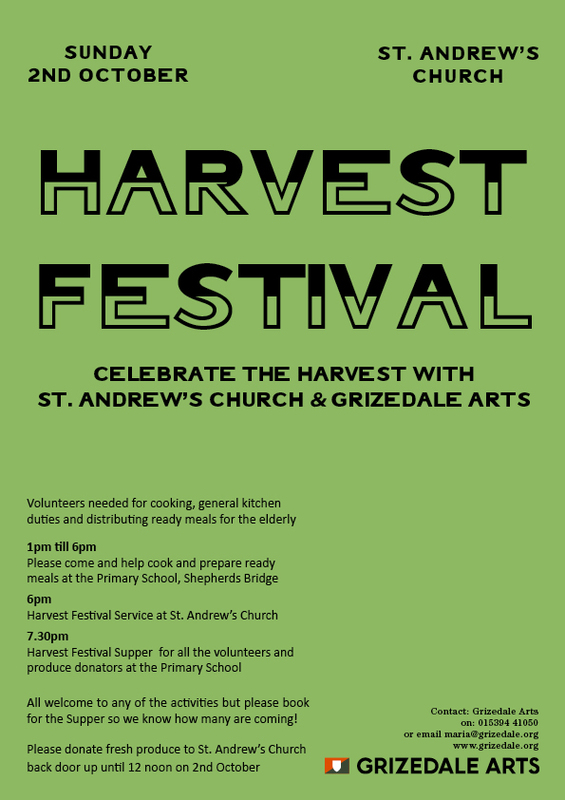 On Sunday, 2 October, St. Andrew’s Church will celebrate the Harvest with Grizedale Arts. Last year was a lesson in grace and this year will surely be equally exceptional. Following the 6 p.m. service at St. Andrew’s Church, the meal will be served from 7:30 p.m. at the Coniston Primary School, Shepherds Bridge. From 1 to 6 p.m., all are welcome to come and help cook. 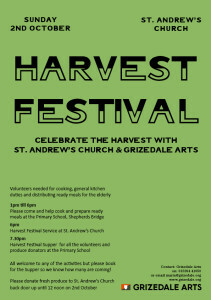 Donations of fresh garden produce welcome anytime up to 12 noon on 2 October at St. Andrew’s church. Please book in advance with Maria on 41050 or Mark on 41262, if possible! This entry was posted in Discipleship, Services, Special Events on September 16, 2011 by angelweb.